If you’re a good dog owner you will know that at some point on your walk you are going to have to Piqapoo! These days could soon be coming to an end thanks to a crazy gadget from a new start up company Piqapoo Ltd. The Piqapoo is expected to retail around £22, its basically a clip that holds a poo bag. This is then clipped onto your dog’s tail, ready for any bowel movement coming its way. All the owner needs to do is remove the bag and bin it. They reassure that the clip is lightweight, gentle and the dog wont even know its there. This idea was born in 2008 & has finally become a working reality. It has been tested on hundreds of dogs and is a big success with blind or disabled dog owners. We couldn’t resist so here’s a video of one in action, to put curious minds at rest about this bizarre gadget. 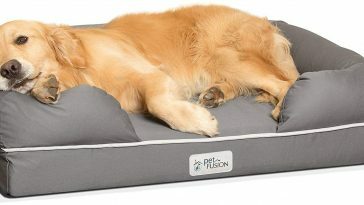 Will using it hurt or be uncomfortable for the dog? Piqapoo Ltd liased with top veterinarians to work on the design to ensure it was suitable for the dogs. The soft silicone clip fits comfortably on your dog’s tail without hurting them at all. Never. It will keep your hands and ground 100% clean. It will fit on any tail as long as it is at least 2 Inches long. We aren’t sure our dog Bentley would tolerate one of these on his tail but its an interesting concept. It will certainly be interesting to see dogs wandering around with these devices on their tails.